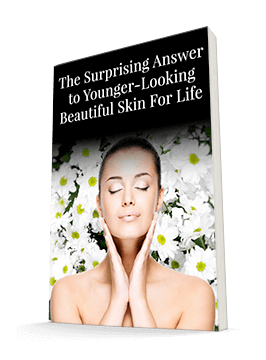 If you want to stay young inside and out, you need to keep your cells young. While it's impossible to slow their chronological age, there's actually quite a bit you can do to slow your cells' biological age. And this has a lot more to do with how you look and feel than the number of candles on your birthday cake. Your biological age comes down to not just your cells, but something even smaller: telomeres. Telomeres are the caps on the end of your DNA strands that keep them from unraveling. Younger people tend to have longer telomeres, keeping their DNA better protected. Telomeres tend to shorten as we get older. But the rate at which they shorten can vary drastically depending in part on our lifestyles. The culprits in telomere shortening include the usual suspects, such as smoking and obesity. But a recent study identified another habit that shortens telomeres among elderly women: sitting. Yes, not doing anything at all can shrink your telomeres significantly. For this study, the researchers reviewed data from almost 1,500 women between the ages of 64 and 95 who are participating in the Women's Health Initiative. The researchers asked the women to fill out questionnaires about their activities and to wear accelerometers that tracked their activity levels. They found that the women who sat more than 10 hours a day and didn't meet a target of at least 40 minutes of moderate-to-vigorous physical activity had shorter telomeres than the more active women. Women could partially negate the effects of sitting if they got at least 30 minutes of exercise a day. We don't always think of exercise as something that will improve our skin (or of sitting as something that will harm it, unless we're sitting in the sun). But having a younger biological age can make you appear to have a younger chronological age! Keeping your telomeres long and healthy also can reduce your risk of a number of diseases, including cardiovascular disease, diabetes, and cancer. All of these can certainly take a toll on your appearance. So to have beautiful skin, try to get a 30-minute sweat session in most days, and be mindful of how sedentary you are. If your job requires you to sit, try to set an alarm on your phone to remind you to get up and walk around for a couple minutes every hour or so. Those little breaks can add up to younger-looking skin! Aladdin H. Shadyab et al. Associations of Accelerometer-Measured and Self-Reported Sedentary Time With Leukocyte Telomere Length in Older Women. American Journal of Epidemiology, January 2017 DOI: 10.1093/aje/kww196.